Hi guys, I’m Arnaud De Sousa from DotEmu. 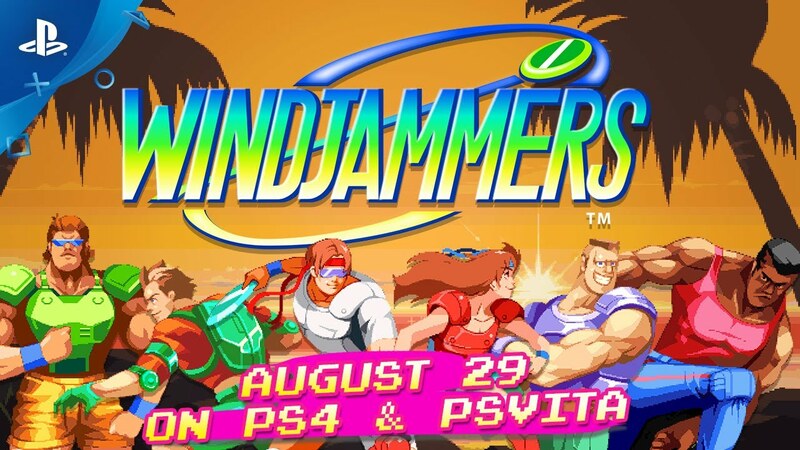 Today I’m thrilled to announce that Windjammers, the best arcade fighting frisbee game ever made, arrives August 29 on PS4 and PS Vita! I’m wondering if I will like this more or less than Disc Jam. It looks pretty fun. I hope they add button mapping! The beta didn’t have it. Really appreciate all you do for the Vita. Day one buy for me. Please keep the SNK games coming. Thanks again. Thanks for your kind message. The Vita is a great console and we’re happy to give it another great game from the past! Will there be an infinite time option? We decided not to add an infinite time option. Time is an important part of the gameplay as it forces you to make decisions and play with it. I’m sure that you’ll adapt quickly to that way of playing and will become a great jammer! 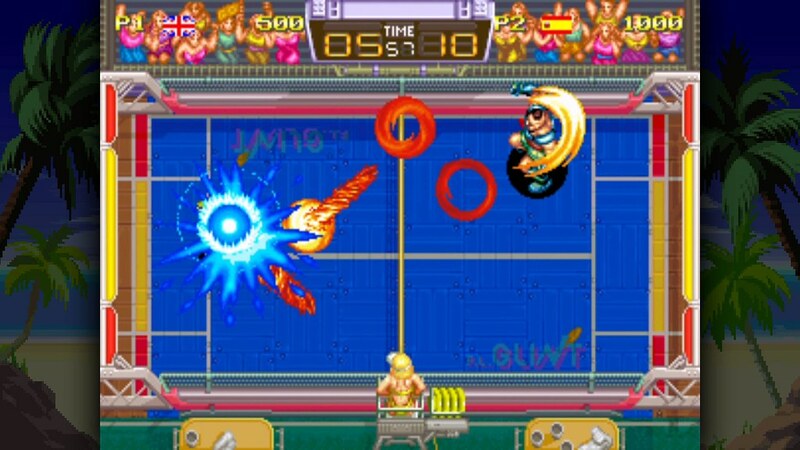 I love Windjammers . I played it back in the Arcade . I always wanted to play it again finally i can. Love these over the top sports games. Thanks DotEmu for bringing it to a new generation of consoles. Cant wait to see high level play from tournaments. 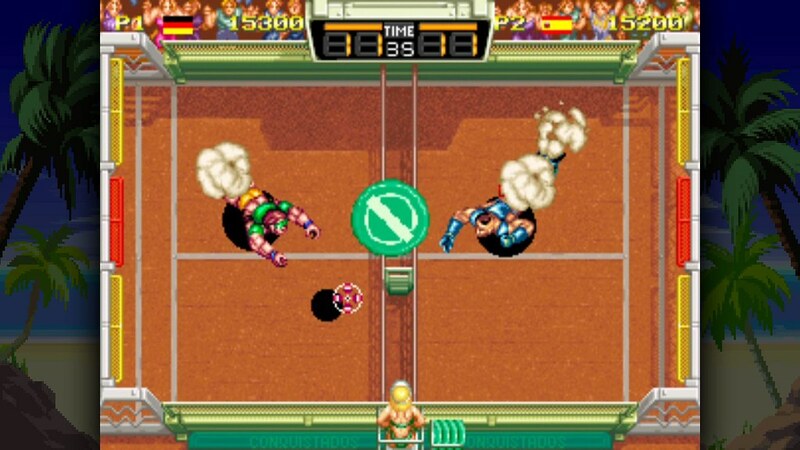 Windjammers can be really crazy at high level and you can already find some great matches on YouTube by the Windjammers France guys. But I’m sure it’s going to be even crazier when everybody will be able to play and compete against eachother. 1) Is this Cross-Buy or separate purchases? 2) Any plans for physical copies (yeah I’m one of those)? Will buy digitally anyways since it’s cheaper than an MVS cart and has online play! 1) Yes, the game will be cross-buy. 2) no plans for physical right now, but we never know what the future holds! Awesome, glad its at least cross-buy! Is this multiplayer only or will there be a single player mode? 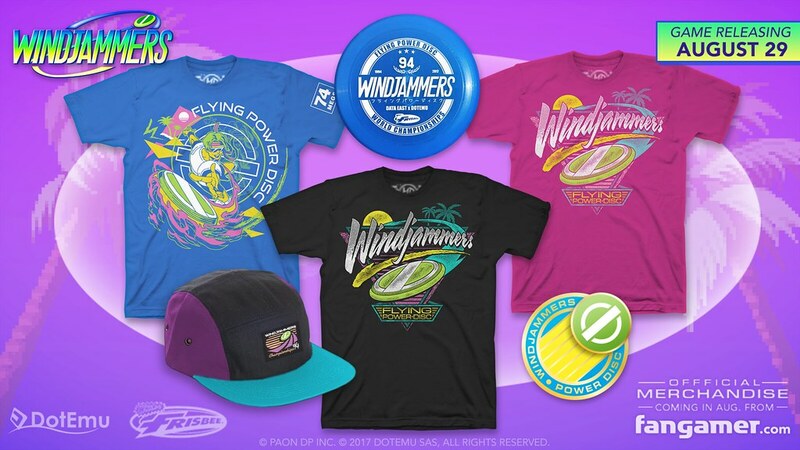 I needs that black Windjammers shirt RIGHT NOW!!!!!! Word! And what about the other ones? I’m obsessed with Disc Jam but ive never actually played this. Disc Jam is a great game and the guys behind it are awesome dudes that really love Windjammers (and it shows). Thanks to them, we now live in a world with 2 crazy frisbee games! Isn’t that great? Hey, will the Vita version have support for local multiplayer on PS TV? The Vita version will not support local multiplayer nor PS TV, but you will be able to play against the whole World online in quick or ranked matches! Can we change how many points to a set? Time limit? We based our work on the japanese version of the game, so it’s Steve Miller. As you may already know, the original character S. Miller was replaced at the time by B.Yoo for the EU/US version, and we choose to stick to the original character design of Data East. Yes, you will be able to change points and time limit, except in Ranking Mode so that everybody plays with the same competitive rules.